In today’s industry where technologies are more interdependent firms are faced with challenges in managing their IP. Therefore a few questions have been raised: how does IP strategy co-evolve with firms’ innovation ecosystems? What is the mechanism in this process? What are the key factors that influence this process? This project aims to address these challenges and coin the concept of IP strategy from an external and dynamic view by applying the innovation ecosystem lens. To reach the objective, we investigate the co-evolutionary process of a firm’s IP strategy and innovation ecosystem. 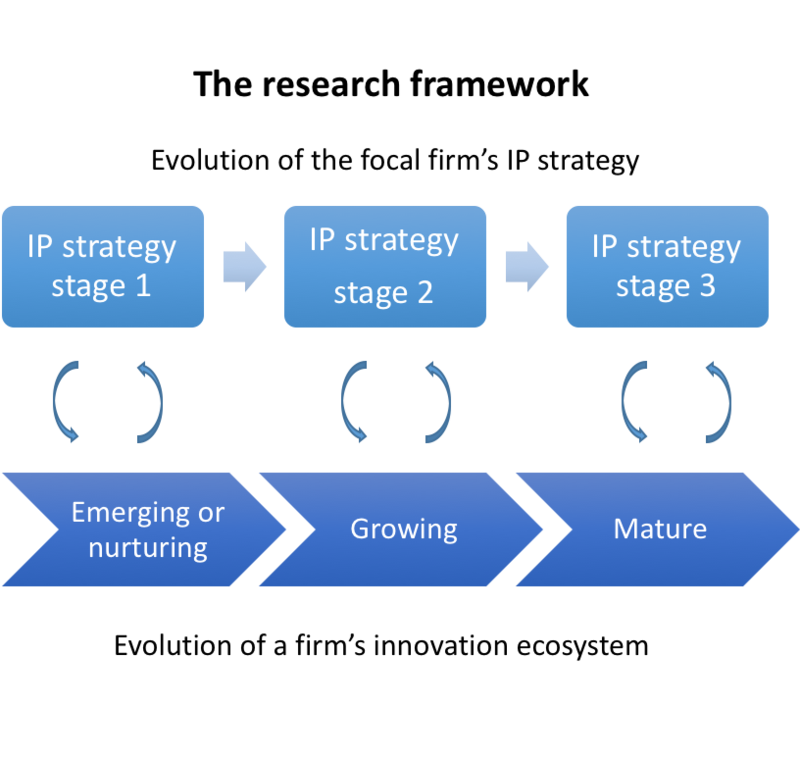 A process model that presents the mechanism of how IP strategies, ecosystem strategies and the identified exogenous factors interact in the co-evolutionary process. The research project will contribute to both academia and practice. First it employs an external and dynamic view to study IP strategy, which is novel to the IP research field. Particularly it proposes the ecosystem lens and can be further lead to more IP strategy research. Second, it provides managerial implications for IP practitioners or even C-level executives on how to utilise IP strategy to fulfil its ecosystem strategy and orchestrate its innovation ecosystem, in order to compete in the dynamic technology environment. This project is supported by Cambridge Trust and the China Scholarship Council.